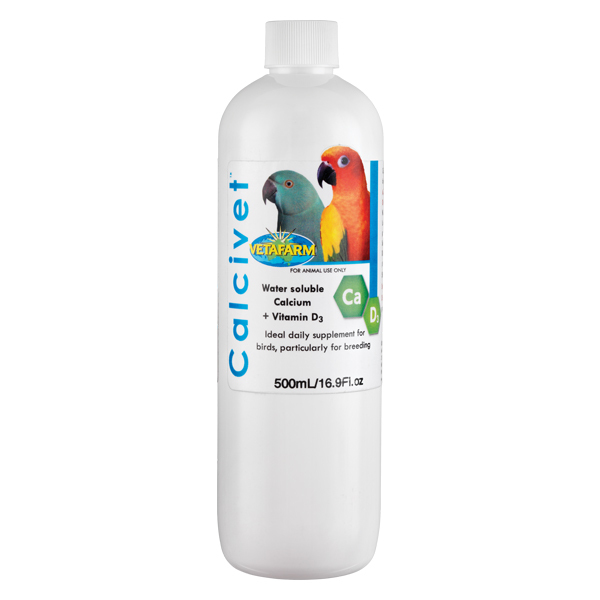 Calcivet is a liquid calcium and vitamin D3 supplement for addition to water, soft foods or for direct administration in times of emergency. 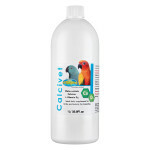 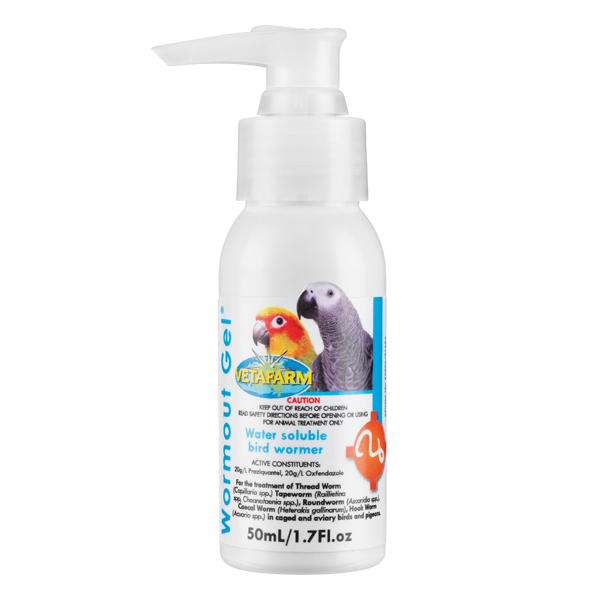 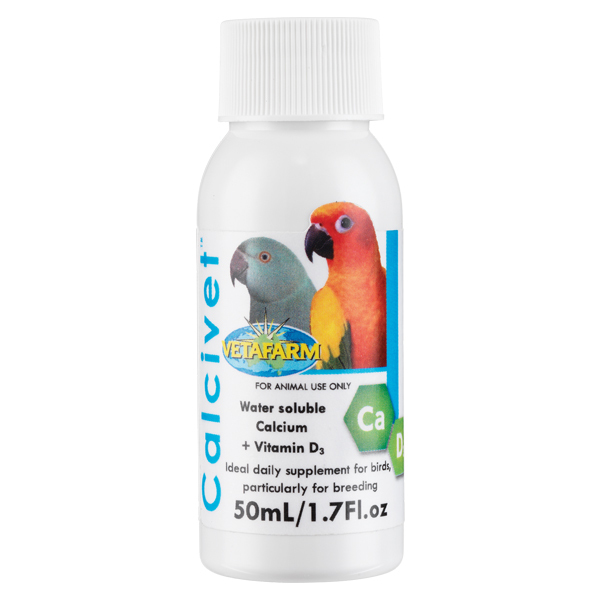 Supports breeding birds and their young with essential calcium. 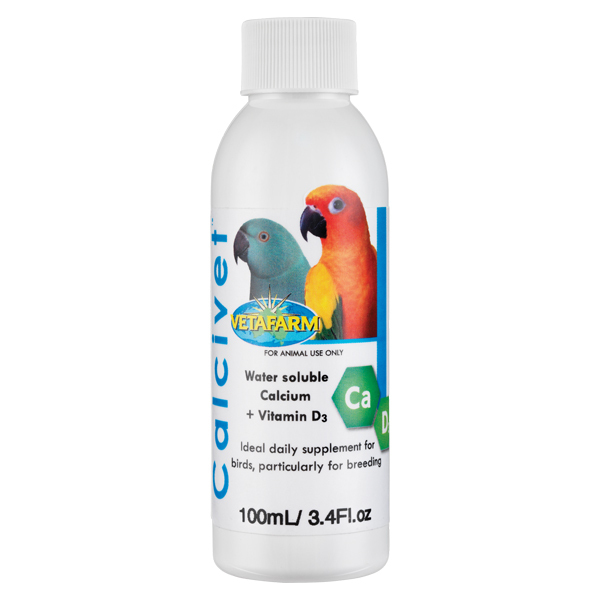 Contains vitamin D3 to maximise calcium absorption in the gut. 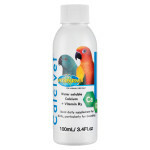 Supports shell formation and the normal development of bones in young birds. 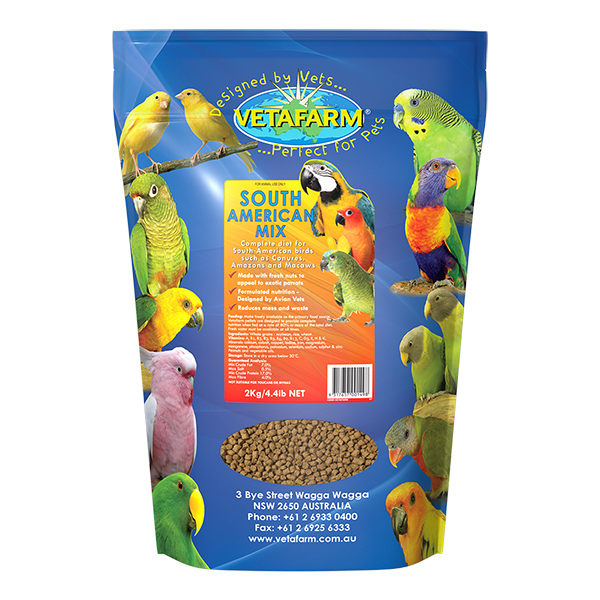 Regular use in all seed-eating birds will ensure adequate calcium for strong bones, muscle formation and general well being. 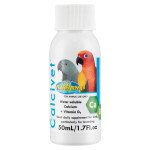 Can also be used as an emergency oral calcium supplement for egg bound or critically deficient birds. 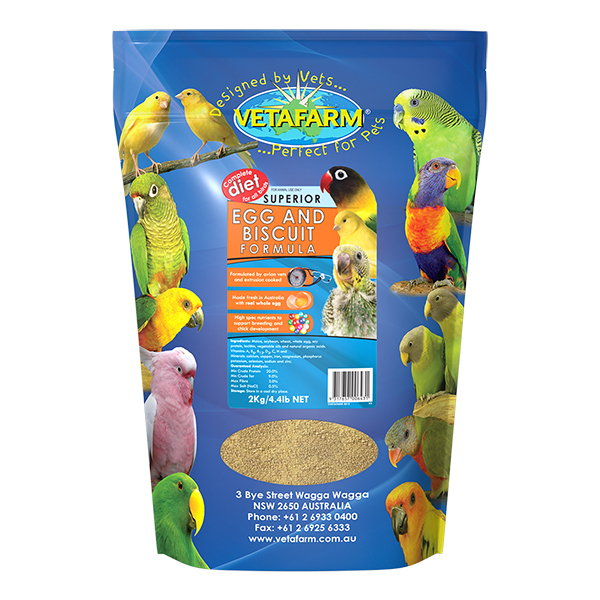 All birds on seed diets, particularly during the breeding season. Calcivet will greatly enhance available calcium in the birds’ diet; additional vitamins and mineral supplements are recommended for birds on seed diets. 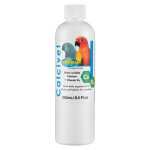 Pour 5mL over 1 cup soaked seed. 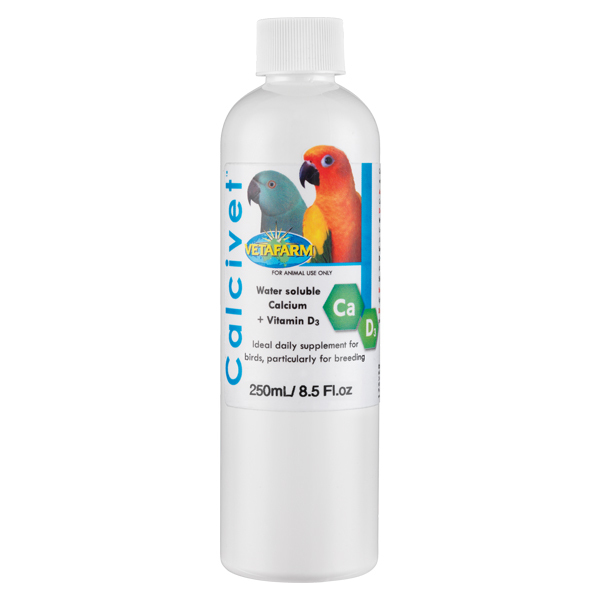 Completely balanced extruded pellet diet specifically designed to meet the particular dietary needs of South American and large African parrots. 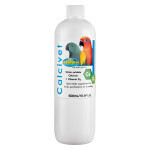 Water soluble bird wormer for use in water, or given directly to the bird via crop needle.